Description: The AYA Program provides personalized, supportive care to Princess Margaret Hospital patients aged 39 and younger. The goals of the AYA Program are to identify your individual needs, provide supportive counseling, and link you to other community and hospital services and resources. Eligibility: Princess Margaret Hospital patients aged 39 and younger. Referral: Health care providers; Princess Margaret patient may also self-refer. Description: Brockville and District Hospice Palliative Care Service promotes quality of life for people living with a life-limiting illness. The team offers assessments, counseling, pain and symptom management, comfort measures, companionship, respite and transportation. A Community Day Hospice Program offered weekly provides social interaction, therapies, activities and nursing consultations for patients. Bereavement support is provided through support groups, or individual counseling for those who have experienced the death of a loved one. Eligibility: Clients and families in the Counties of Leeds and Grenville who are coping with a life-limiting illness. Referral: Health Care providers, patients and/or family may make referrals to any service with the exception of hospitalized patients who require a physician referral. Hours: Mon to Fri; 8:30 a.m. to 4:30 p.m. Description: Chai Lifeline Canada is a not-for-profit organization dedicated to helping Canadian children suffering from serious illness and their families. They are passionately devoted to alleviating the burden of those facing medical challenges. Eligibility: Oncology patients, chronically ill patients, parents and siblings. Description: Dr. Jay Chidren's Grief Centre supports families when there is a terminal diagnosis of an adult or child; when the grieving process begins, through the dying process and into bereavement support. Families can enter their programs at any point within the grief continuum. 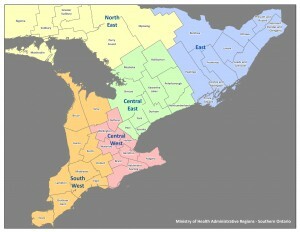 Fee: Most services covered under OHIP. Description: Emilys House is dedicated to caring for children with complex needs while supporting their families. It brings together high quality, respite and palliative care with the warmth and comfort of a child-focused environment. Emilys House can accommodate a maximum of 10 children at a time. However, capacity may vary at any given time based on the unique needs of patients and their families. Eligibility: 0-19 years of age, have a valid Ontario Health Insurance Plan (OHIP), and have a progressive life-limiting illness or major medical disease that demonstrates a progressive decline. Referral: Referral can come from a parent/guardian, pediatric palliative care physician, family physician, nurse practitioner, nurse, social worker, or case manager. Fee: Families are responsible for providing the childs medications, diapers and other supplies. Emilys House will cover supplies related to advanced respite care as well as all direct costs of care. Description: Family Services Ottawa pffers ounselling and support services to anybody in Ottawa who needs it. No matter what it is that youre dealing with, they are here to listen. They offer a safe space, and will help you work through whatever is troubling you. Eligibility: Anyone in need of help. Description: Hospice Northwest is a community volunteer organization that compliments, enhances and delivers end of life care, including grief and bereavement services. Eligibility: Individuals with a life limiting illness. Referral: Referrals can be made online by anyone, provided the client consents to the referral. Description: Lutherwood is a progressive, not-for-profit health and social service organization that strengthens the lives of people in our community by providing mental health, employment, housing and family support services to more than 15,000 people annually in Waterloo Region and Wellington County. Eligibility: Anyone, including people with jobs, those who are under-employed, people looking for work, students, apprentices, internationally trained individuals, employers. Application: Call or drop in. Description: Maison Vale Hospice provides residential and hospice palliative care for palliative residents and clients, as well as residential volunteer services, grieving and bereavement services and visiting hospice services. Eligibility: Individuals and families facing a terminal illness with a prognosis of one year or less, and reside in the Sudbury/Manitoulin area. Please visit website for specific admission criteria. Referral: Some programs require a referral or application process. Referrals are accepted from physicians, nurses and other health care providers. For "Visiting Hospice Services", caregivers, family members and friends are also encouraged to make a referral. Staffing: Physicians, Nurses, Personal Support Workers, Social Workers/Chaplain, Pharmacists; Volunteers for "Visiting Hospice Services"
Fee: "Visiting Hospice Services" are free. Description: Near North Palliative Care Network is a non-profit organization providing one-stop Palliative Care, Bereavement and Grief, and End-of-Life volunteer-based free services and training in Northern Ontario. Eligibility: Clients and families of individuals who have been declared terminally ill or bereavement supports. Referral: Family member, CCAC, doctor, social worker; self-referral is also acceptable. Hours: Mon to Fri; 8:30 a.m. to 3:30 p.m. Application: Request services by having your referral call in. Description: A non-profit hospice providing respite, practical, emotional, spiritual and bereavement care for adults and children living with life-limiting illnesses and support to their loved ones, in the comfort of their own homes. Eligibility: Cancer patients of all ages that require support in the form of non-medical palliative care, spiritual support, respite and caring volunteers. Referral: End of Life and Pain and Symptom Management programs require a referral from a practitioner. Staffing: Professional staff and carefully screened and trained volunteers. 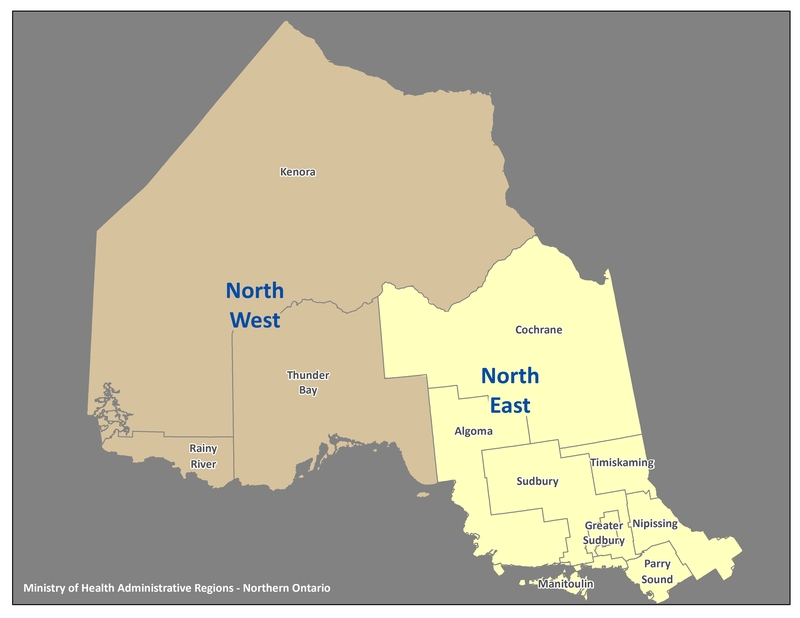 Description: Timiskaming Palliative Care Network offers various programs and services that provide support and/or care for Cancer, Cardiovascular Disease, Infectious Diseases (i.e. HIV/AIDS, Hepatitis-C), Neurological Disorders, Renal Disease, Respiratory Disease, Anticipatory Grief and Bereavement, and Emotional/Spiritual Support. Hours: 15 hours per week of service are available. Description: VON is Canadas only, national, not-for-profit, charitable home and community care organization that provides more than 75 home care, personal support, and community services for people of all ages including nursing, homemaking, family education services and respite/caregiver relief. Eligibility: People of all ages in need of home care, personal support and/or specific community services. Visit website for more information about services. Location: In the patient's home or elsewhere within the community. Staffing: Registered nurses, personal support workers, therapists, volunteers and other health care providers at the VON branches. Hours: Mon to Fri; 8:30 a.m. to 4:30 p.m. 24 hour service program is also available at some VON branches. Application: Call local branch for more information. Description: Wellspring is a network of community-based support centres offering programs and services that meet the emotional, social, practical and restorative needs of people living with cancer and their caregivers. Wellspring programs are offered free of charge, and include one-to-one peer support, group support activities, learned coping skills, rehabilitation programs and much more. Wellspring centres has several locations in Ontario. Visit www.wellspring.ca to learn more about the location nearest to you. Eligibility: Individuals who are living with cancer and their caregivers. Staffing: Experienced professionals including psychologists, physiotherapists, therapists and dietitians. Application: Become a Member online. Description: Youth Link is a youth mental health agency in Scarborough dedicated to providing the support, guidance and opportunities youth need to make positive life choices. Youth Link provides a wide range of services such as counselling, educational support, family support and residential services for youth aged 12-21 and their families. Eligibility: Youth between ages 12 and 21, and their families. Visit website for specific eligibility criteria for programs. Referral: Different referrals are required for some programs. Please contact the organization or visit their website. Application: Different applications are required for some programs. Please contact the organization or visit their website.